If you’ve been injured in a Pennsylvania Car Accident, then you may need to hire a Chester County Automobile Accident Lawyer. It’s important to get legal advice as soon as possible after an Automobile Accident. There are many issues to worry about: Who will pay to fix my automobile? Who will pay my medical bills? Who will pay my lost wages? Am I entitled to compensation for disabilty or pain and suffering? What is the difference between Full Tort and Limited Tort? 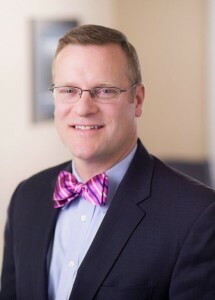 Chester County Automobile Accident Lawyer Tim Rayne has been answering the questions of injured car accident victims and helping them receive fair compensation from car insurance companies like Allstate, State Farm, Progressive, GEICO, Libert Mutual, USAA and many others for over 20 years. Tim Rayne offers Free Consultations in Chester County Automobile Accident Cases in his law offices in Kennett Square and West Chester. Tim also regularly meets with his clients at their homes or any other convenient location. Tim has written four books on Personal Injury and Wrongful Death cases, has been named a Top 100 Lawyer in Pennsylvania by Super Lawyers and is Board Certified in Civil Trial Advocacy. Check out the Testimonials on Tim’s website and the Client Reviews on AVVO to hear what Tim’s clients say about his Personal Injury services.